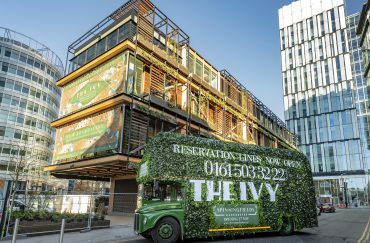 No question, the addition of The Ivy to Manchester’s dining scene is the biggest launch of 2018. 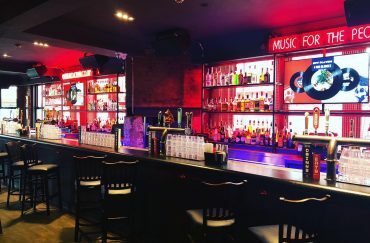 And it’s not just big in the hype sense – with four floors and over five hundred covers this is clearly a restaurant looking to make a big impression. Similarly, no expense has been spared on this Spinningfields venue. Beautiful marble floors, chandeliers, plush pillows – so many pillows – and practically everything else that screams opulence. As is routine by now, this has led to mixed reports from grumpy locals tutting at the very idea of luxury, implying that Manchester should ‘know its place’. All of which is wearingly tiresome – it’s fine for a meal out to be a special event, dressing up and treating yourself is not a crime. 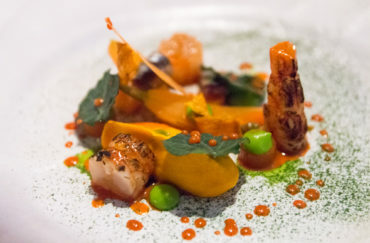 Moreso, a restaurant should be judged largely on its cuisine, decor is just an interesting sideshow, and certainly not the main event. So, onto the food. Today, we visit The Ivy Asia, the upper floor restaurant that focuses on, you guessed it, East Asian cuisine. 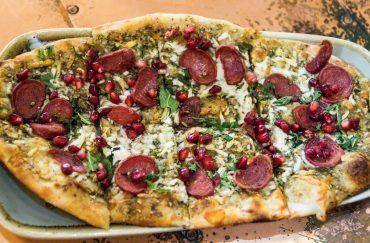 Much like Tattu, the restaurant adds a splash of innovation to classic dishes, so while you’ll recognise ingredients and basic elements, there’s always something about each dish that elevates it above the norm. 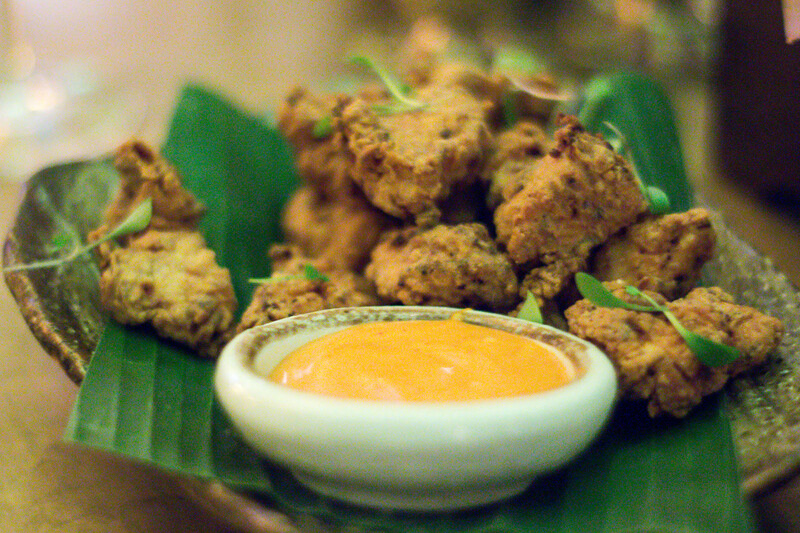 First, buttermilk fried chicken with a little bowl of deliciously creamy-but-tangy kimchi mayonnaise. 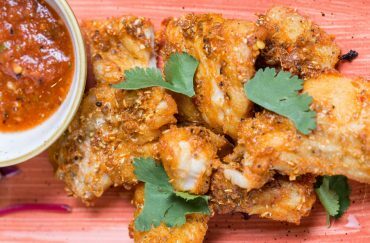 The chunks of chicken come in bitesize morsels – soft white meat with a crunchy coating comprising an impressive number of herbs and spices. They’re one of the more simple dishes on offer but a fine way to kick things off. 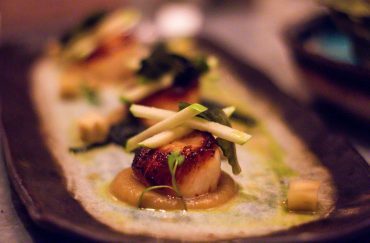 The raw scallops are where things get interesting. 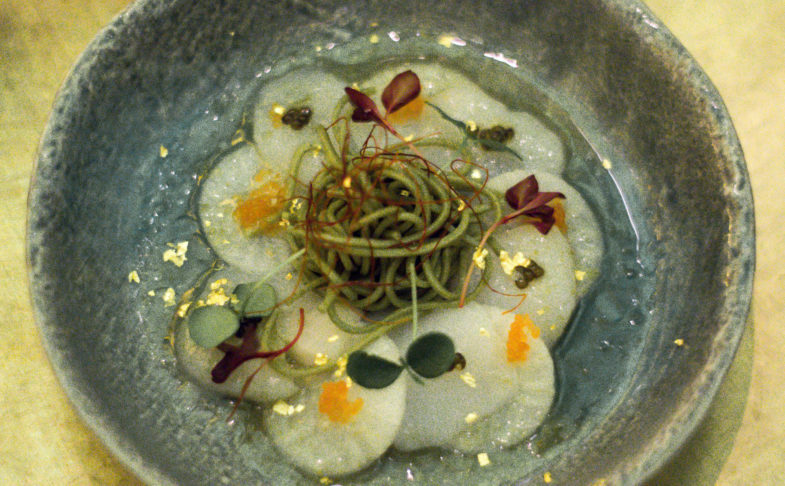 Razor thin slices of high-end seafood, layered with crunchy pickled slices, then dotted with Oscietra caviar and a tangle of subtly-flavoured noodles – it’s an immediate hit for both the eyes and tastebuds. Did we forget to mention the gold leaf? If you’re looking for wow factor, here’s your plate. 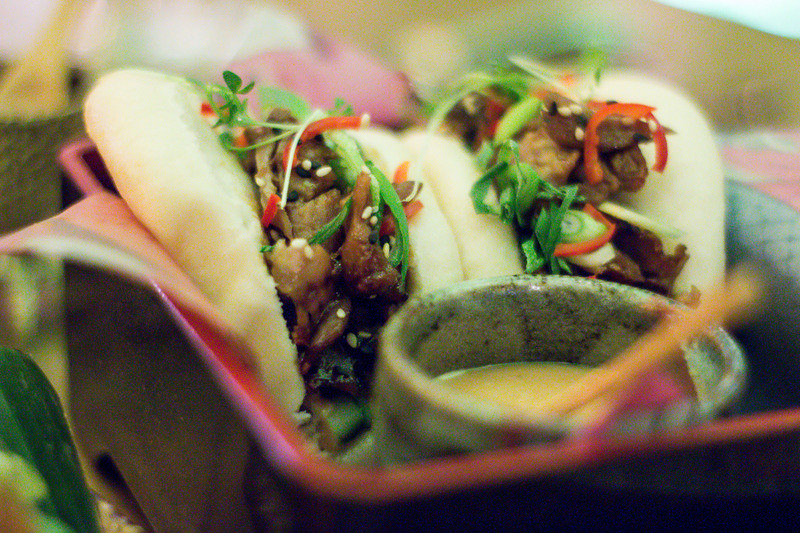 The crispy duck bao is one of the more popular items on the menu, and for good reason. 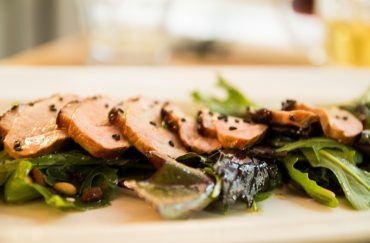 A soft spongy bun holds thick chunks of duck, rich in hoisin and five spice flavours. 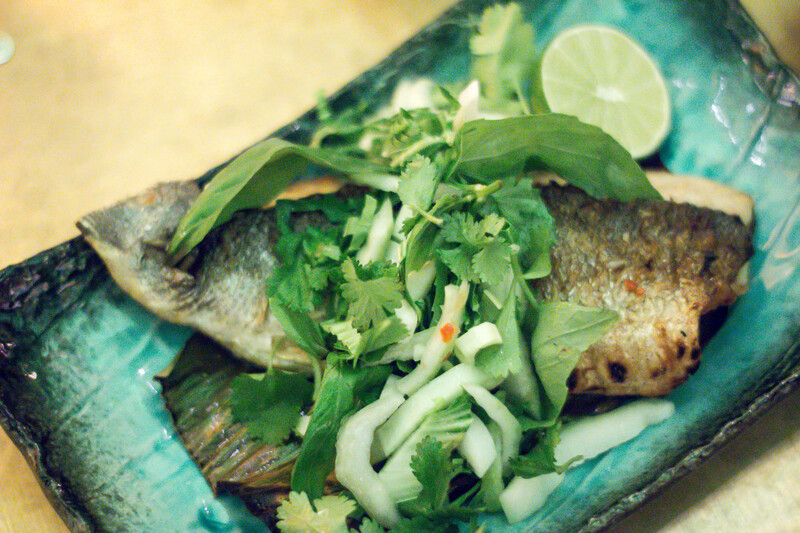 The Thai sea bass is excellent too, boasting a crispy skin and soft flaky flesh, full of coriander, lime and chilli flavours but never overpowering – plus the low-key addition of Thai basil adds a neatly complex element to the whole plate. 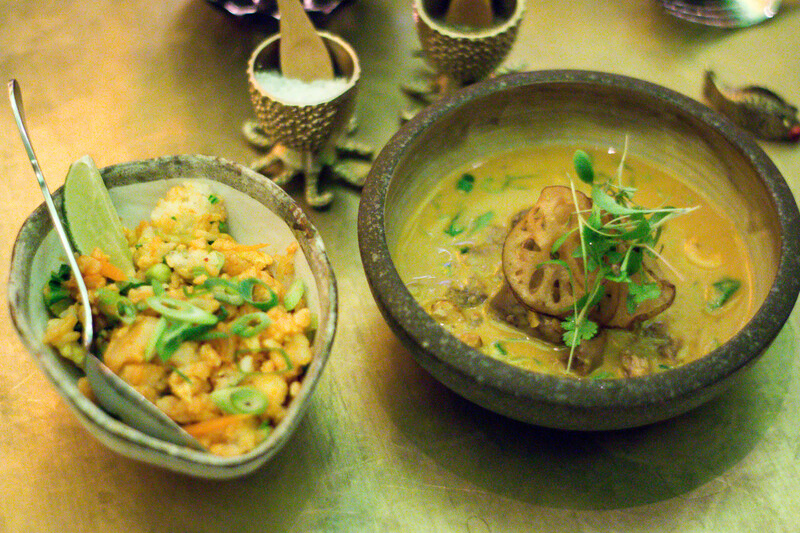 But the duck massaman curry is the standout dish. 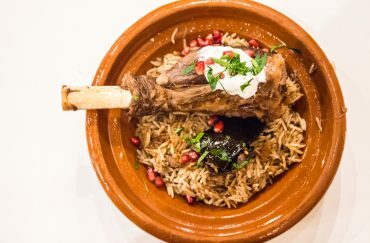 You don’t get much for your money – it’s a decidedly small bowl – but the combination of flavours are stunning. 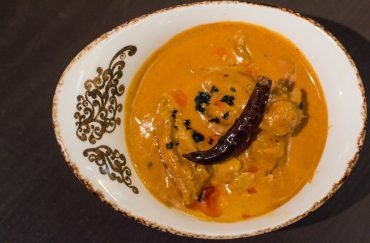 The inspired choice of duck meat blends beautifully with the creamy, spicy curry sauce, each mouthful delivering a new flavour, aniseed one minute, cashew nuts the next, shortly followed by an impressive thwack of heat. If anything the desserts are even better. 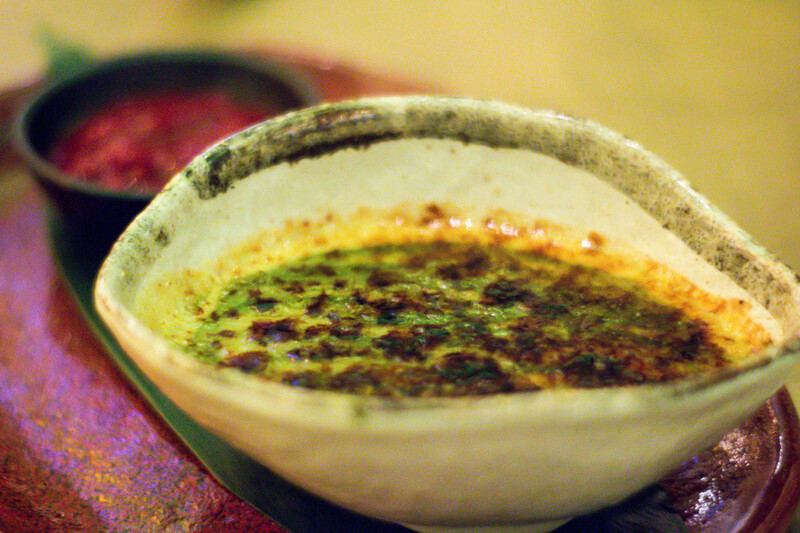 The creme brulee is a sheer delight, the faintest hint of matcha green tea balanced out with eye-wateringly sweet crushed raspberries and that all-important crunchy sugared top layer. 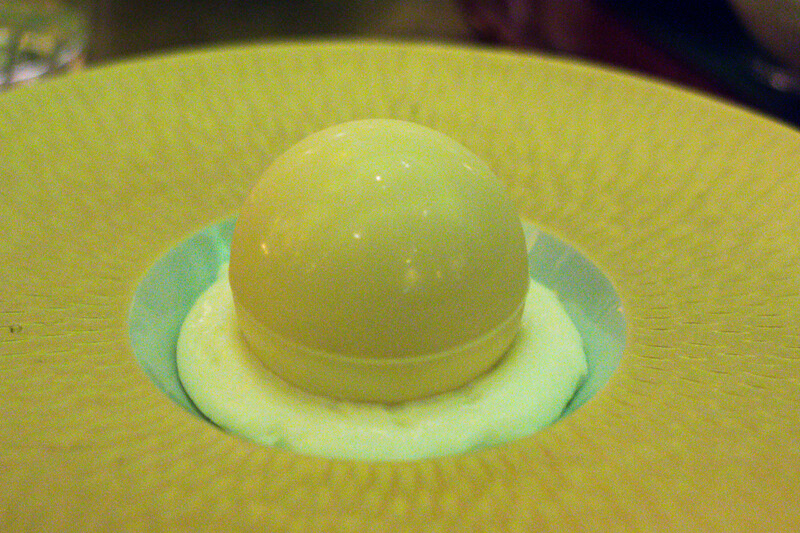 But the white chocolate sphere is the optimum way to end such an extravagant meal. It’s exactly what it says on the tin, a perfectly round sphere, onto which the waiter pours a hot caramel sauce, which melts away to reveal passionfruit, meringue and yuzu foam. It’s a stunning end to an excellent, albeit pricey, meal. 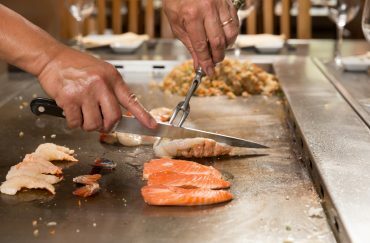 You probably wouldn’t visit The Ivy Asia on a daily, or even weekly basis, not unless you have endless pockets and a penchant for gout, but when it comes to event dining it’s up there with the best. Ignore the nay-sayers, it’s fine to dress up and treat yourself. 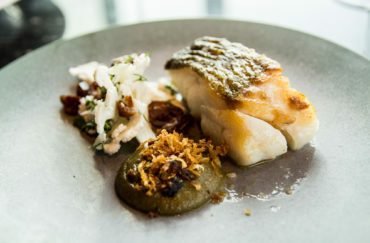 Manchester is a world-class city, The Ivy provides food – and an experience – to match.